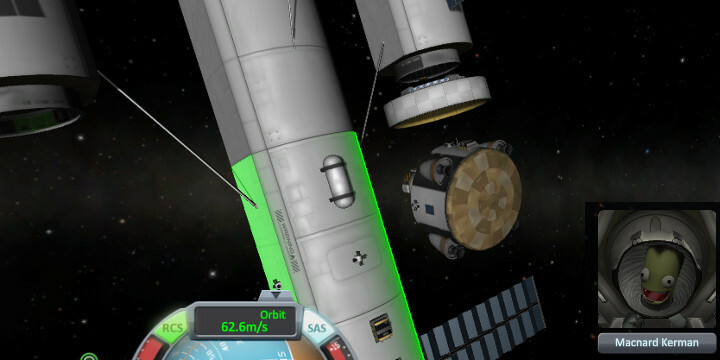 So we had left Leesan and Debissa on Gilly, where they were refueling their il-gotten spacecraft. 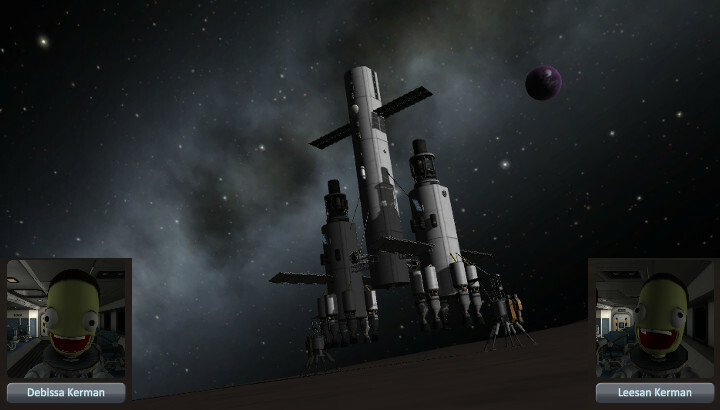 We had left them for quite a while so we're lucky the fuel tanks didn't rupture from all the mining. They were tired of hanging out on Gilly, so off they went! They're in the market for a pilot so they can survive the coming Commnet apocalypse, but they were having trouble getting orbits to match up. 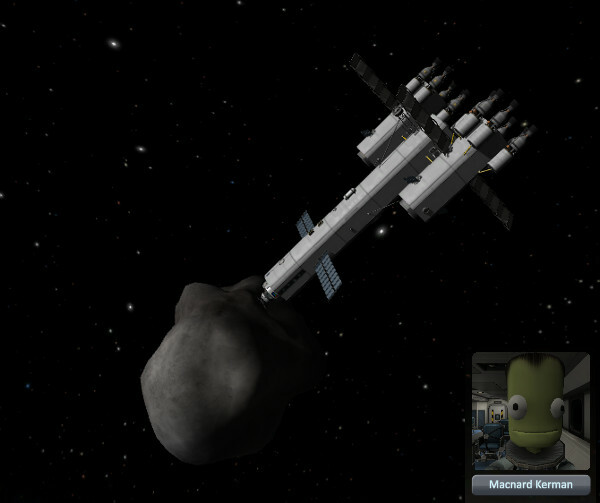 Meanwhile, around Dres, Mac-nerd was assigned the job of rendezvousing with the fabled first-asteroid-around-Dres. 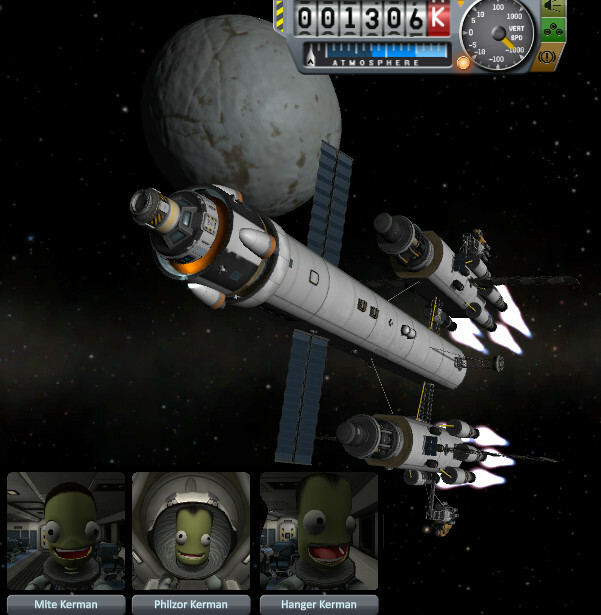 He tried maneuvering, but with the one lander gone it was off-axis thrust which didn't go well. 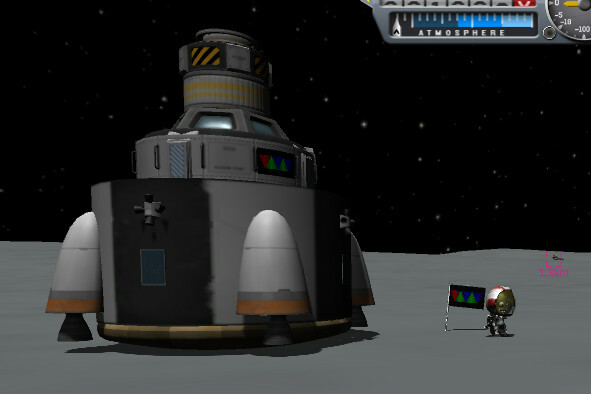 So he thought he'd park the other lander in the back to rebalance things. And he tried mightily for hours. 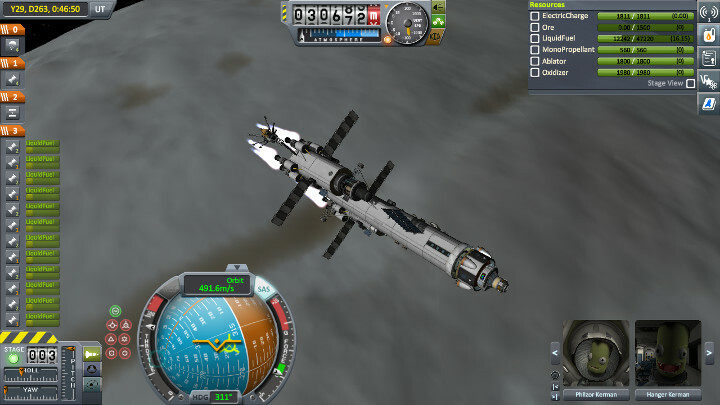 It was made harder because the RCS refused to turn on for some reason. Finally he realized the mothership had a regular sized docking port and he only had a junior sized one. (No off-color jokes please). Blargh, the only Jrs on the ship were also off-axis. Well I guess abandoning ship is a solution, but you probably should have redocked and salvaged the fuel first. Open the Pod Bay Doors, Hal! Eventually he captured the asteroid. 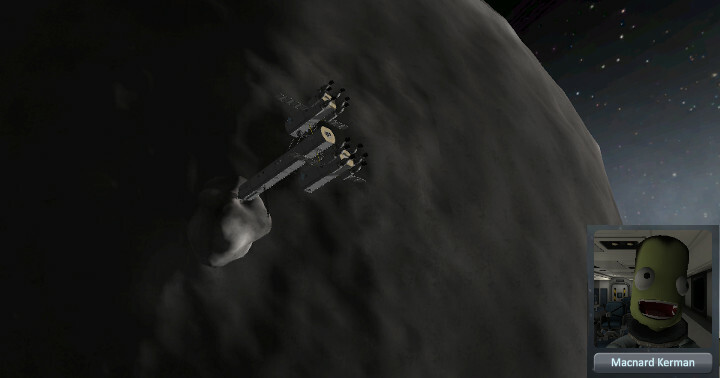 Meanwhile, not far from Eeloo, our brave crew of Phil-zor, Hanger, and Mitte are doing their final braking burn. 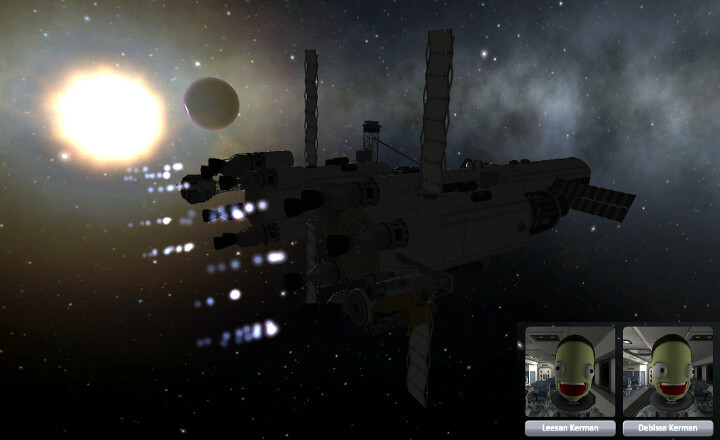 The plan seems to be to try to land and then fire up the mining gear. 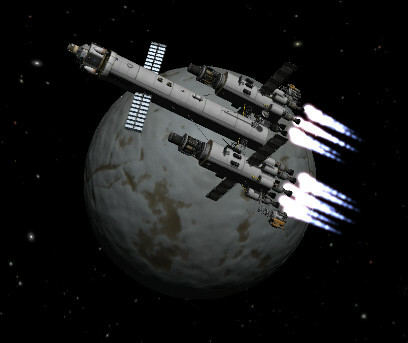 Let's hope Eeloo has ore. Or that we have enough fuel in the first place. 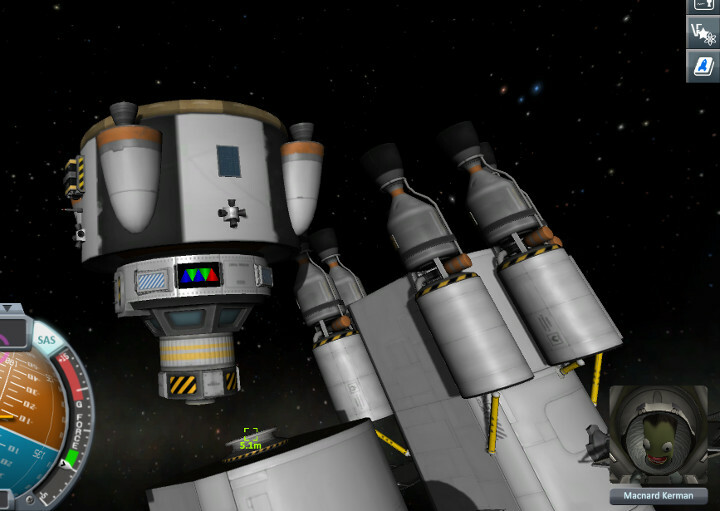 This worked perfectly on Gilly, but it seems Eeloo has a lot more gravity. 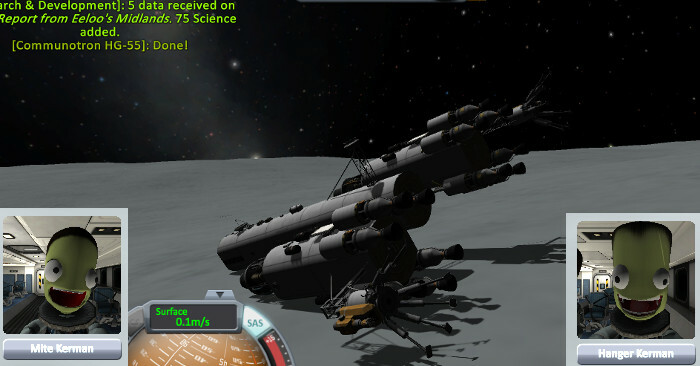 After a lot of "simulations" the landing always ended disastrously with the front lander being smashed to bits. So, Phil-zor tries to salvage things by separating at the last minute. And this appears to be the best we can do. Sigh. The ship was just too top-heavy. We should have attached a drill at a 90° angle and we'd be mining right now. A little late for that though. How's Phil-zor doing? He surprisingly managed just fine despite the landing craft being extremely hard to control. Enough excitement for one day. 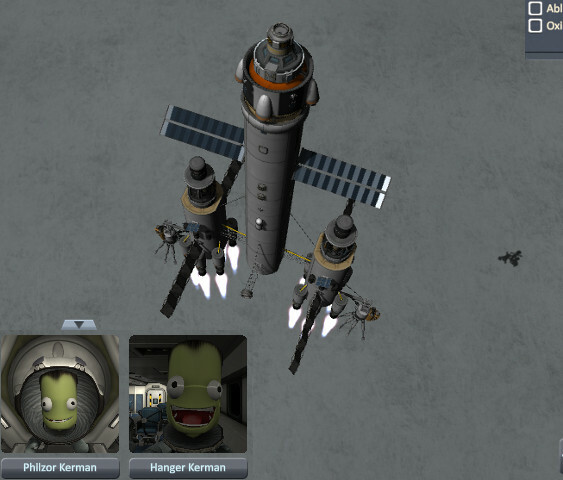 While this is all going on a Jool encounter is happening, but that will have to wait until the next update.